Ever wonder what marketing leaders worry about? The marketing landscape has seen scary and exciting times over the past year. 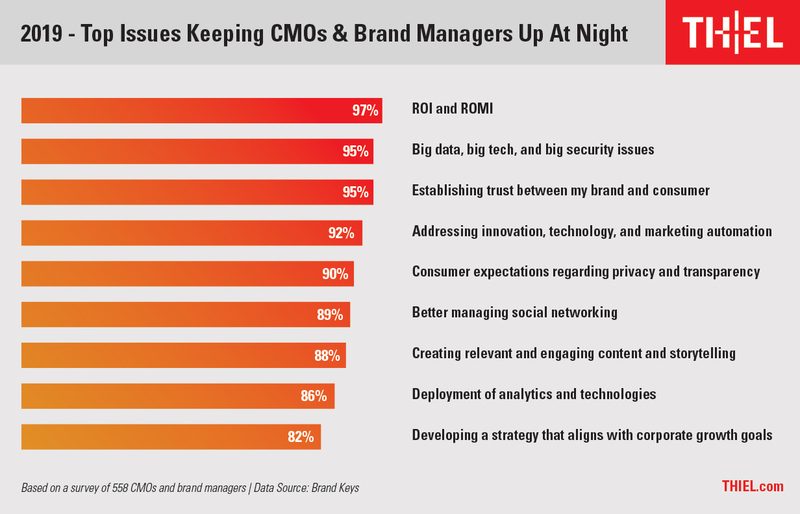 New technologies and pivots to customer-centric brand philosophies dominate the discussion of marketing evolution, but is that what really keeps CMOs awake at night? What Should a B2B Company Spend on Marketing & Advertising?